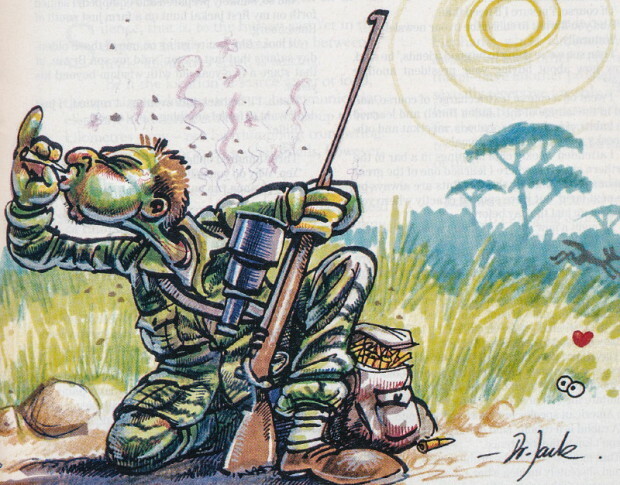 The fine art of hunting varmints. Cartoon by Dr Jack. There’s nothing like the noble art of hunting. The warm sun on your back, the feel of a fine rifle in your hands, a cool afternoon breeze gently stroking your cheek, the distant caw of a pied crow and the sweet smell of the bushveld. That’s the theory, anyway. Big blue flies buzzed about my head like kids swarming around an ice-cream truck – I guess the American ‘doe-in-heat’ scent I’d rubbed on my hands, face and clothes had something to do with it. “Guaranteed to mask nasty human scents and drive any buck in the vicinity wild,” read the label. Maybe so. It sure worked on flies of either gender, but would it mask the nasty smell of human vomit, I wondered, as a wave of nausea hit me. My backside was sore and numb, sweat dribbled down my forehead washing little rivers of camouflage cream – that the label declared was waterproof – into my eyes. A fly crawled up my nose. But was I going to complain? 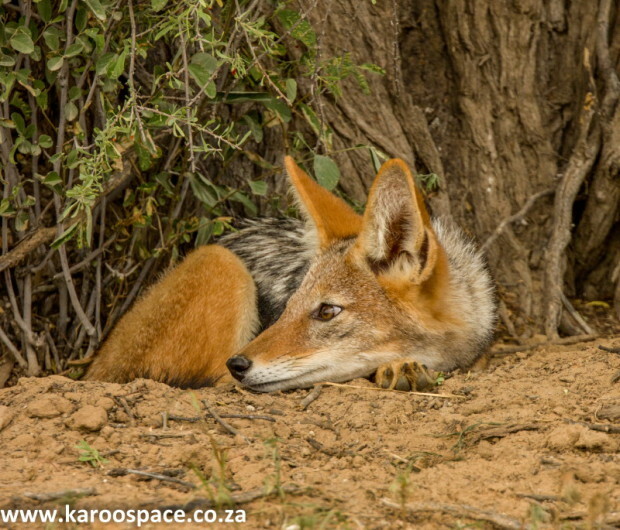 No way, Jose – this was jackal hunting, the stuff long-time bar tales are made of! Why hunt jackals and lynx when you can hunt kudu and springbok, you may ask. It’s a question I’ve asked myself many times. I suppose it all started when I read about huntin’ varmints in the United States (we would use the term ‘vermin’ when speaking English as she should be spoke). Jackals are the most cunning of varmints. Varminting is all about shooting tiny critters at extreme ranges with high-powered rifles capable of surgical accuracy and topped with telescopic sights that would be the envy of the designers of the Hubble telescope. It has become an industry. The price of a varmint rifle and associated equipment will set you back the better part of a middle-level executive’s pay cheque. The varmint bullet is designed to expand so violently that it literally blows up its target – all in the name of a swift, humane kill, you understand. Quite obviously, making a blanket from the pelts of shot animals would be out of the question, but a facecloth may be okay if you are able to shoot enough of them and are prepared to do a lot of sewing. Varmint shooters in states such as Idaho and Montana can fire a few hundred shots in a single day, and will burn up hundreds of dollars in powder and bullets in a single year. In retrospect, I guess he had a point. What can you expect from people who insist on calling deer ‘big game’? But I was hooked on the idea, and all I needed was some way of convincing my wife, Joy, that buying a new rifle and all the other accoutrements should take priority in our monthly budget. Women are strange that way. They seem irrationally concerned with trivialities such as warmth, clothing, shelter and the baby’s shoes. I think it was the argument about it being cheaper than taking a mistress that finally swung it. First thing was to get some expert advice. Talk to the guys who know about this sort of thing. My enquiries directed me to a club of professional hunters whose president had set up office in the Linden Hotel bar near the public phone. The president had set up office in the Linden Hotel bar, near the public phone. Cartoon by Dr Jack. We met, and he showed his affinity for wildlife by ordering a Lion for himself and another for me. Shooting the little buggers, he explained, stopped the farmers from putting poison down. I ordered another beer for him. Man, this was it – music to my ears. An excuse to shoot, and a reason even the greenest of bunny huggers would have a hard time shooting down. 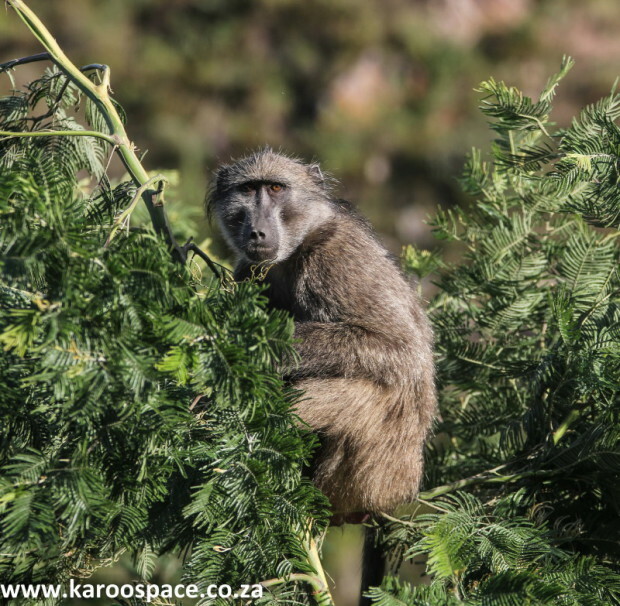 Few creatures are wilier than baboons. I went on a course (extra charge, of course), run in the lounge of the Linden Hotel and learned the habits of jackal, lynx, baboon, porcupine and other pesky and wily problem animals. I attended weekly club meetings in a bar in the northern suburbs where I learned one of the greatest truisms of varminting; the varmints are always on the next farm, but were spotted exactly where you had set up the day before. I bought a new rifle – so I didn’t blow big holes in the pelts, though goodness knows what I was going to do with them, as Joy promptly informed me there was no way that animal fur was going to go through her sewing machine. Other accoutrements such as the new scope, new hunting knife, camo cream, coarse salt – the skins have to be treated – were acquired. I tried for a 4×4, but Joy refused to budge on that. Then there was the caller. It’s a sort of plastic contraption with a reed in the centre, and it looks like the mouthpiece of a saxophone. I bought one meant to imitate the call of a dying cottontail rabbit, a prolific American species but short on the ground here. 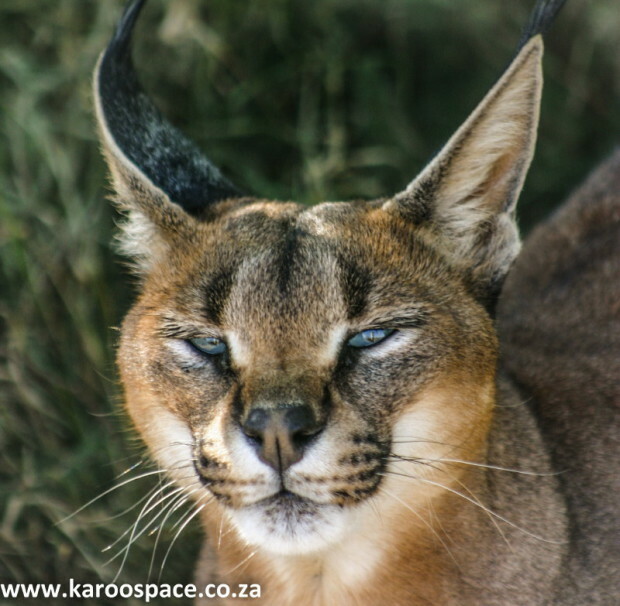 That may be so, but the problem was, neither did I.
Lynx (aka caracals or rooikatte) are loathed by farmers because of their lamb-klling habits. I had absolutely no idea what a bunny sounded like when it was being eaten alive – local or otherwise – and you had to blow the thing a bit like playing a trumpet, using your tongue and lips to extract the right pitch. The instructions said to put feeling into it when making the call, whatever that meant. I pursed my lips and began what I figured would sound like the screams of a cottontail rabbit that had just become a coyote’s dinner. Did it work? I don’t know, but the neighbour’s Dobermann came sailing over a six foot wall, and the bull terrier across the road began to howl and started tunnelling under the precast. The cat’s hair stood on end, and it crouched low as it skulked towards the sound. 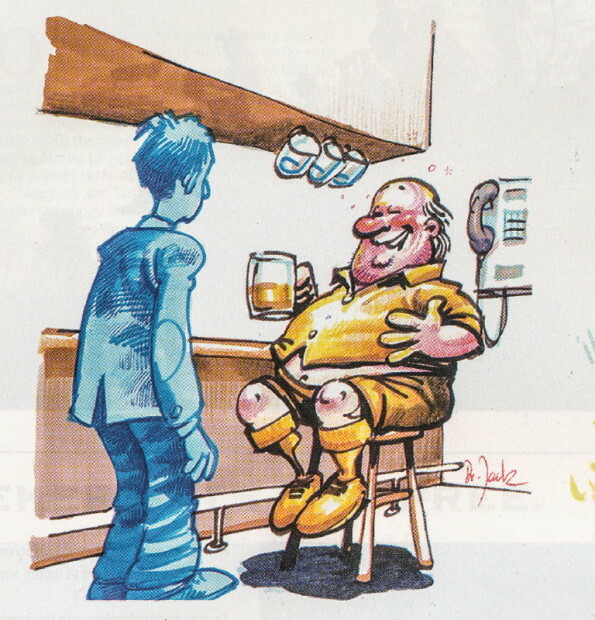 What worried me most were the stories, told in the bar at the weekly meetings, of guys using the callers – but instead of jackals popping up, lions or leopards came to call. If that was to be the case, then pelt damage be damned – I’d bloody well take up needlepoint! And so, suitably prepared and equipped, I sallied forth on my first jackal hunt on a farm. “It looks like you’re going on one of those olden-day safaris that last a year,” said my son Bryan, at that stage a 5-year-old with wisdom beyond his years. “Why do you need all that? I thought you said you’d only be a few hundred metres from the farmhouse?” asked Bryan. The little blighter has a mind sharper than a surgeon’s scalpel. 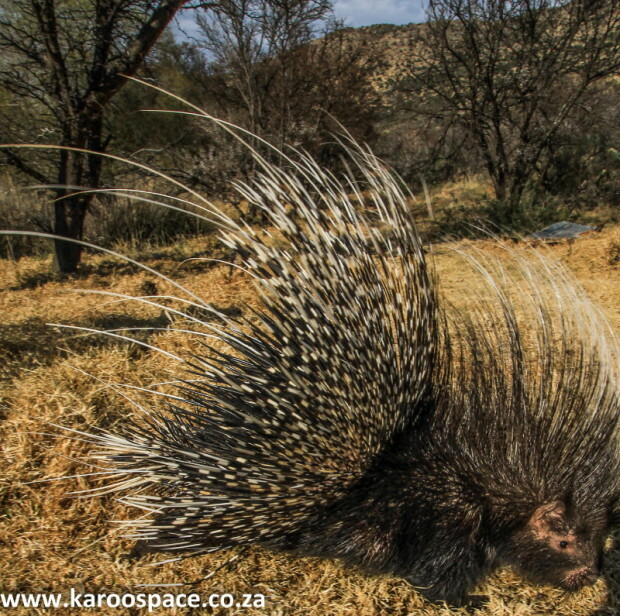 Porcupines- another unwilling member of the varmint group. And so I found myself sitting in the blazing sun, my eyes ignited my weeping camouflage paint, in American tiger-striped army fatigues with flies setting up home in my nose and smelling like a doe ready to be seduced, while I played a poor rendition of the Dying Swan on a plastic saxophone mouthpiece. It’s at times like this that one begins to reflect. When I added up what it cost me to get here, in a position to shoot a varmint that was of no damn use to me anyway, I probably could have gone on one of those year-long safaris complete with porters, bearers and punka wallahs and still had some change left over – and I still hadn’t fired a single shot in anger. I guess Joy saw it that way too when she sat down to the monthly budget a little while later. And the jackals? Well, they’re still on the next farm, but they were definitely here yesterday. This article first appeared in the October 1995 edition of environmental magazine On Track (later Keeping Track), founded and edited by Julienne du Toit. 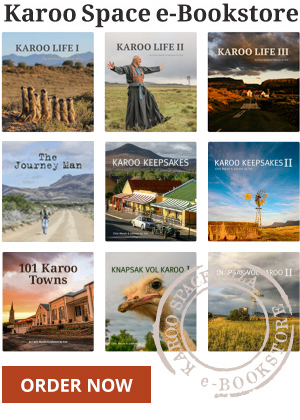 Hilton Hamann is an award-winning freelance journalist who lives on a small farm in Randfontein, about 50km west of Johannesburg. He keeps threatening to do some farming, but cannot stay away from stories.